Welcome to the tyrannical city of Jewel, where impatience is a sin and boldness is a crime. Goldie Roth has lived in Jewel all her life. Like every child in the city, she wears a silver guardchain and is forced to obey the dreaded Blessed Guardians. She has never done anything by herself and won’t be allowed out on the streets unchained until Separation Day. When Separation Day is canceled, Goldie, who has always been both impatient and bold, runs away, risking not only her own life but also the lives of those she has left behind. In the chaos that follows, she is lured to the mysterious Museum of Dunt, where she meets the boy Toadspit and discovers terrible secrets. Only the cunning mind of a thief can understand the museum’s strange, shifting rooms. Fortunately, Goldie has a talent for thieving. Which is just as well, because the leader of the Blessed Guardians has his own plans for the museum—plans that threaten the lives of everyone Goldie loves. 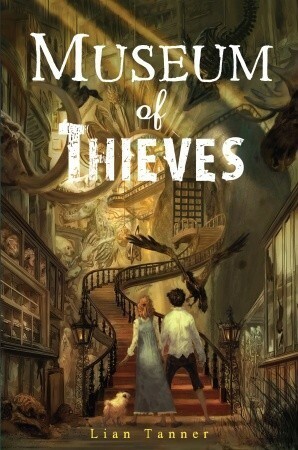 And it will take a daring thief to stop him. . . .
Museum of Thieves is a thrilling tale of destiny and danger, and of a courageous girl who has never been allowed to grow up—until now. From the pages of this book emerges a world unlike any you’ve ever read, where the pursuit of safety may just destroy everything. Bless The Children…And Keep Them Safe! There’s something intriguing about a book that is at heart a cautionary tale about caution. With parallels to the modern age (think of everything from little kids being walked on leashes I mean backpacks to authoritarian regimes that rule by fear and intimidation), the citizens of Jewel have traded their freedom, and that of their children, to the Blessed Guardians in the name of safety. But not every person, or every child, embraces this safety. For safety from every danger, even the myriad, minor ones, is oppression, however benign the face it wears. And Goldie, a girl who has been impatient and bold since she could voice her thoughts, chafes at the stifling natures of the adults around her. At first it seems that she’ll be set free early, as The Grand Protector has reduced the age at which a child is Separated. But when something goes terribly wrong at the very moment Goldie’s chains are about to be cut, Goldie doesn’t have it in her to meekly return to her daily prison. Instead she chooses freedom, however scary that may be and embarks on an adventure that will see her striving to save the city of Jewel from it’s tragic mistakes. As Goldie leaves and finds herself at the Museum of Dunt, we meet the other crucial characters of this book: Toadspit, Sinew, Herro Dan and Olga Ciavolga. Like Goldie, Toadspit was a child not yet Separated from the Blessed Guardians but also like Goldie, he chose to run rather than stay in a city that was a prison in all but name. Also like Goldie, he found himself with the Keepers of the Museum of Dunt, a strange crew, outwardly silly or beneath notice but in reality the keepers of all the chaos and wildness that the citizens of Jewel had hidden away from themselves over the years. The Museum itself is the embodiment of that chaos and like a kettle over a flame, it can only be contained for so long. From the beginning this story had me entranced. I can still remember being a child and despising all the rules that made no sense to me but I was told were “for my own good.” This is raised to a ridiculous degree but it resonated with me in a way I hadn’t expected. Perhaps because the characters are not just shells of children and adults but fully fleshed people (or brizzlehounds or slaughterbirds or even the Fugleman who I’m not fully convinced is human), filled with desires both petty and grand, foibles and talents and all the attributes that make them so very relatable. Then there’s the world Ms. Tanner has created, so rich and detailed, I felt as if I had stepped into it and could walk the streets of Jewel and the maze-like halls of the Museum. Or perhaps it was just the pacing of the book, just the right blend of descriptive passages and historical background and speeding, heart-tripping action and suspense that had me flying from one chapter to the next. Whatever it was, I fell hard for this book. And I think you will too! You will cheer as Goldie throws off the gilded chains of tyranny, howl in laughter at Sinew’s sly humor and hold your breath as Toadspit, Goldie and the Keepers battle against the dangers of chaos that has been confined too long! This was one of those books that was a true pleasure to listen to. The narrator, Claudia Black, was beyond phenominal. My personal favorite was her portrayal of Sinew pretending to be an idiot. PRICELESS! Do yourself a favor and listen to this delightful story! Museum Of Thieves is the first book in The Keepers Trilogy and those of you who saw my IMM post on Sunday will know that I recently acquired the second book, City of Lies. SQUEE!!!!!!!!!! I’m DEFINITELY listing to that next! The third and final book, Path of Beasts, is due out this fall. But if you’re like me and you’ll be jonesing from the second you finish City of Lies until you have Path of Beasts in your hot little paws, spend some time over at Ms. Tanner’s website! It’s amazing, has games to play, dozens of illustrations of the characters and lots of great advice for writers and readers. It’s a joy to roam around, much like the Museum of Dunt I imagine! Now I’m curious, do you read middle grade (other than HP which everyone’s read)? Either way, tell me why in the comments! “I can still remember being a child and despising all the rules that made no sense to me but I was told were ‘for my own good. '” Right??? I feel the same way as a kid, but it sounds like the children in this world have it even worse than we do — and it all sounds so AMAZING! I love how the world feels so real you could walk in it. I can just imagine the adventure from your descriptions, and I’m getting giddy with excitement just thinking about it! Mimi Valentine recently posted..Epic Review: Kill Me Softly by Sarah Cross! Thanks, Mimi!!!! I would love to hear what you think of this book! I do love a good middle grade book, especially one where you can stroll the streets of the story like you’re living it. MARY!!!! It is fabulous! And the audio version was AMAZING, Claudia Black’s voices are unbelievably perfect! Wow this sounds like a fabulous read! Ask a child we all want to break free from rules meant to protect us. Great review! Hi Pushy. Aren’t middle grades a nice break every once in awhile. I think we all remember those days at kids struggling against the constraints and now as a parent I understand why they were in place. I would love to check this out the world building sounds terrific and I love the names of those characters. They totally are!!!! And I hope you enjoy this as much as I did. I’ve started the next book already and it’s phenominal! Thanks so much, Sam! And you really should read this book. It’s such fantastic fantasy!! It’s a MUST read! Oh you must, must, must read this!!! And the third book in the trilogy comes out this fall!!!! I love the cover! This sounds very interesting and i love mystery. Never can resist middle grade books whatever age you are. Isn’t it gorgeous? And there’s tons more illustrations on the website. Wow I have never heard of this one before but it sounds totally fabulous!!!!!!!! I just adore the cover and I admit I like to read middle grade novels every once in a while so I think this one might be one I would enjoy! Thanks for the amazing review!!!! The author sounds very talented and I just love books with some humour so I can definitely see myself enjoying this one!!! It’s truly fantastic! I hope you enjoy it!!! Hi Pushy! How are you? This book sounds great. It’s entirely new to me. I love the idea of kids on leashes – like dystopia for MG 🙂 The book really seems to have a plot that I haven’t heard of before – unusual. Hey, Alison!!!!! It is unsusual, but in a great way! 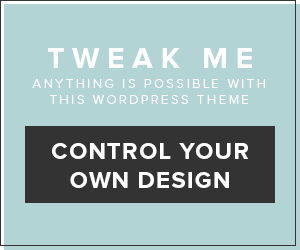 You should check it out! Miss you, hon!!! That was one fabulous review! I thought a paid professional had written it! Not that your other reviews aren’t good, but I don’t think I’ve ever seen you review and MG book and to see you so connected to one, WOW! I read a lot of MG, I have an MG reader at home and I have a great connection with Walden Pond who sends me their fabulous books to read. Everything that comes out of there has been great. I also read my MG readers required reading which is incredible diverse. This summer he’s reading The Breadwinner by Deborah Ellis, Roll of Thunder Hear My Cry and The Iron Ring by Lloyd Alexander. I’ve read all the Artemis Fowl books except The Atlantis Complex and I’m waiting for the final book. I’ve read most of the Charlie Bone series, all but the last of the Alex Rider series and all of the H.I.V.E. books. I could go on and on, but I won’t. I love them just as much as YA, maybe for their innocence, maybe for their lightness (though Alex Rider is rather dark) and there seems to be more humor in MG than YA. More impossibilities seem possible.